Should You Paint Original Stained Wood Trim and Doors? My wife and I recently had to decide between keeping the original wood trim in our home and painting it white. 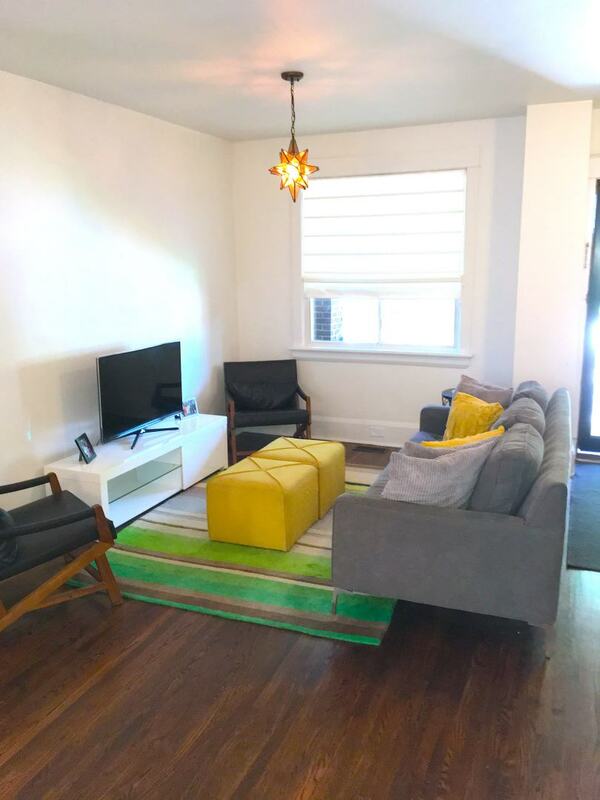 When we purchased our home, part of its appeal was that all the original floors, doors, base and casing were intact. Approximately 60% of the wood trim in our home had never been painted. We left it this way for a few years, until recently, while we were in the process of finishing up a kitchen renovation. The trim in the kitchen was now white to go with our new black and white design. Do we stop there or keep going, transforming all the trim in the house to white? Should You Paint or Stain the Original Wood Trim? Our house doesn't get a lot of natural light. The new kitchen renovation required white trim, so for consistency and flow, we painted the dining room and living room on the same floor. When trying to decide whether or not you should paint or stain the trim in your home, it really all depends on the type of home you own and your personal preference. How Much Sunlight Does Your Home Get? Walk around your home on a bright, sunny day. How much light is coming through the windows? How big or small are your windows? If you're not getting a lot of sunlight in your house, I would definitely consider painting the trim to lighten things up. If you're getting a lot of sunlight, consider keeping the original wood trim intact. When I talk about "original" wood trim and doors, I'm talking about wood made of oak, chestnut, gumwood or other types of hardwood installed in some homes in Toronto around the early 1900's. In most standard, new build homes, both the trim and interior doors are made of MDF and are paint grade; meaning that is it meant to be painted, not stained. Some new build homes will have upgraded the trim to stain grade pine or oak. In these cases, I would recommend keeping the stained trim. Painted trim means more maintenance and more work. Stripping, priming and painting all of the trim in your home will take a lot of time and effort. (And potentially cost a lot of money if you're not doing it yourself). And eventually it will need to be stripped, primed and re-painted again. Painted woodwork chips off. You'll also have to deal with this later. If you have small children who are smashing toys into your baseboards, stained would actually be more practical. 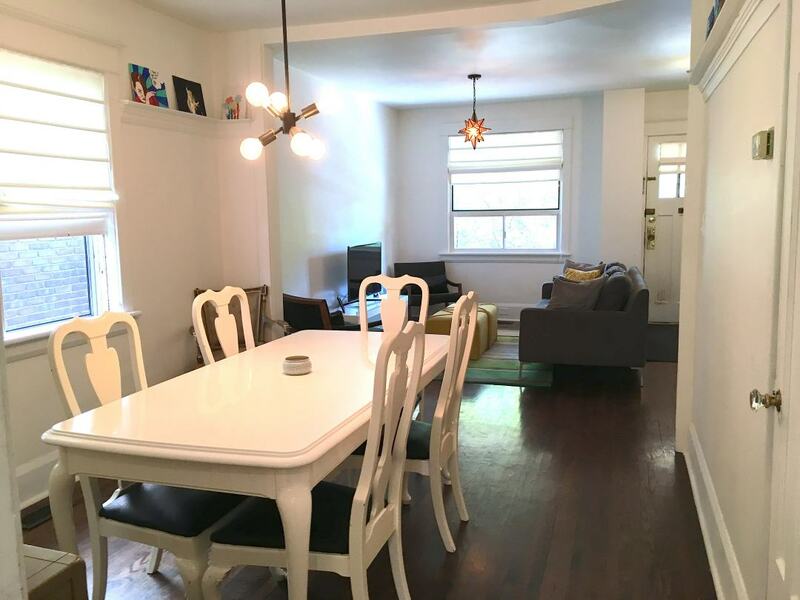 Painting trim white usually gives the home a brighter, more modern look and feel. But, if your new home is large and spacious with big windows and lots of sunlight, painting the walls white or a light colour and adding some modern furniture pieces and art will create a modern look and feel, even if you leave the trim stained. Buyers look for original charm. Many buyers are looking for the charm and original look of wood trim and doors. You can always paint over the trim later, but once you do, it's difficult to go back; so be very sure you want to take the plunge. 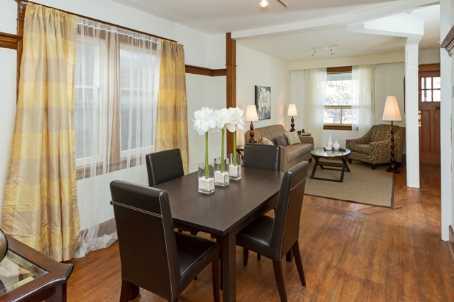 Original, stained woodwork is known for having a warm, cozy feel. White trim can look a little cold and sterile. Once you paint the trim in your home, you've essentially ruined the original wood and you're now committed to this look (or hours of meticulous sanding). 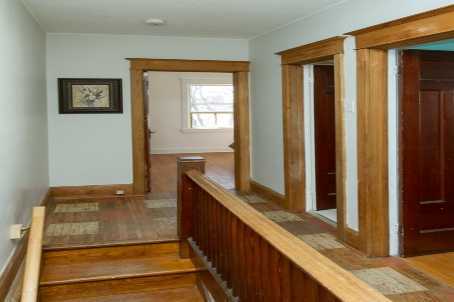 Many older homes were built using higher quality wood trim in the foyer, living room and dining room. You can maintain the original beauty of this wood by leaving the stained woodwork in these main floor rooms and painting the second floor or secondary rooms like bedrooms and bathrooms. There is usually less light on a second floor anyway, so this will lighten up the rooms that generally have smaller windows. Don't get stuck thinking that the trim in your entire house has to match. Mixing paint and stain throughout a house is a great option that can add visual interest, if done right. To Paint or Stain Before Selling? This question often comes up with my clients who are considering selling or renovating their homes. I see a lot of agents advising their clients to automatically paint everything, keeping the same throughout the entire house. 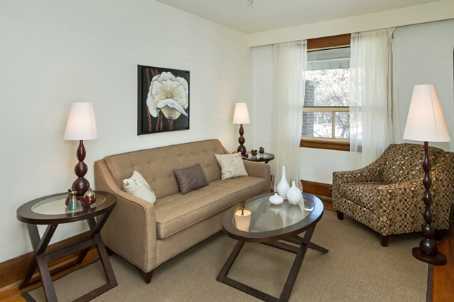 The standard is to paint a shade of gray on the wall, white trim, add a glass coffee table and bam, staged! But my experience has taught me that it's a 50/50 split in preference between white painted trim and original stained woodwork. 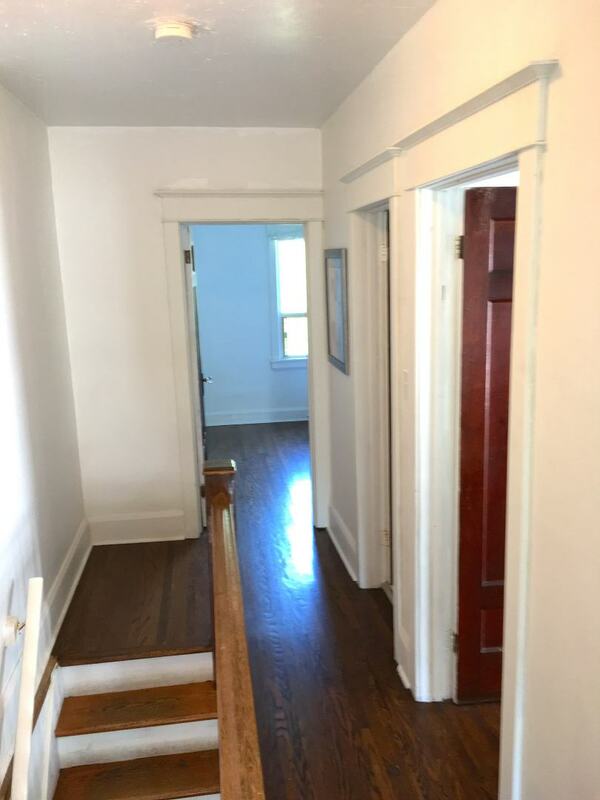 I would say if you're selling and your home gets a lot of natural sunlight, it's probably best to leave the original woodwork. If your home could use some brightening up, go ahead and paint the trim. If you think the home you've just purchased is your forever home, or if you think you'll be living there for many years, you should do whatever you like in terms of painting or leaving the original stained woodwork. It's your house and you have to love the way it looks.